Khan recalled an Indian umpire, who had refused to consider his appeal against an Indian batsman allegedly "in order to secure win for his team". Khan had filed a petition in the Supreme Court against “massive rigging” in Punjab province during the May 11 general elections. rigging during last year general elections. Khan, who heads the Pakistan Tehreek-e-Insaf, recalled an Indian umpire, who according to him had refused to consider his appeal against an Indian batsman during a cricket match allegedly “in order to secure a win for his team”. “How can it be possible for lawmakers who come to the assembly through rigged elections to remove corruption from society and from among their ranks?,” he asked while addressing an event here yesterday. He also accused the prime minister of securing 8,000 votes in a constituency where 1,500 voters were registered. “If I were in his place, I would put all the polling officials behind bars in this case,” Khan said. Speaking out against the recent “gift” of USD 1.5 billion to the Pakistan government by a “friendly” country, Khan said “the government received USD 1.5 billion to fan sectarianism and killings on the basis of faith”. “We hold a begging bowl but are not willing to collect fair taxes and eradicate corruption at the highest levels,” he was quoted as saying by Express Tribune daily. 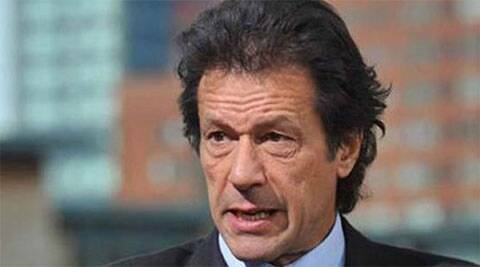 Khan has said that martial law would be destructive for Pakistan. “Impose martial law if you want destruction in Pakistan,” he said, adding that bringing about junta rule was as if somebody goes to a dispensary for cancer treatment. He said martial law is imposed for a brief period in a country in the wake of problems but in reality the military coup aggravates problems. Khan said when a corrupt man becomes leader he destroys institution like a dictator who ruins institutions while trying to become a democrat.